The end of the world has been a bit of a damp squib. Presumably someone got the date wrong since it didn’t happen today – or not yet, anyway. I even had my hair done specially yesterday – well, you don’t want to meet your Maker on a bad hair day, do you? Never mind. No doubt it will come one day. While we’re waiting, let me post some more about one of my favourite towns in the region, Cahors. Cahors is the préfecture of the Lot département. Since we live in Tarn-et-Garonne, our main town is Montauban, which is larger but less congenial in my opinion. We don’t often get to Cahors, but when we do I always wish we went more often. It has nice shops, pleasant restaurants and plenty to see. Our most recent visit – after a gap of more than two years – was in early October, when we met friends for lunch there. Before our rendezvous, we decided to extend our acquaintance with this ancient town. The Gauls originally founded the settlement on the site of a sacred spring, which still provides some of Cahors’ drinking water. The Romans took it over and named it Divona Cadurcorium. It later became Cadurca and finally Cahors. The townspeople are still known as Cadurciens. Roman remains include traces of a temple, public baths and an amphitheatre. A recently excavated mosaic is exposed in the underground car park in the town centre. 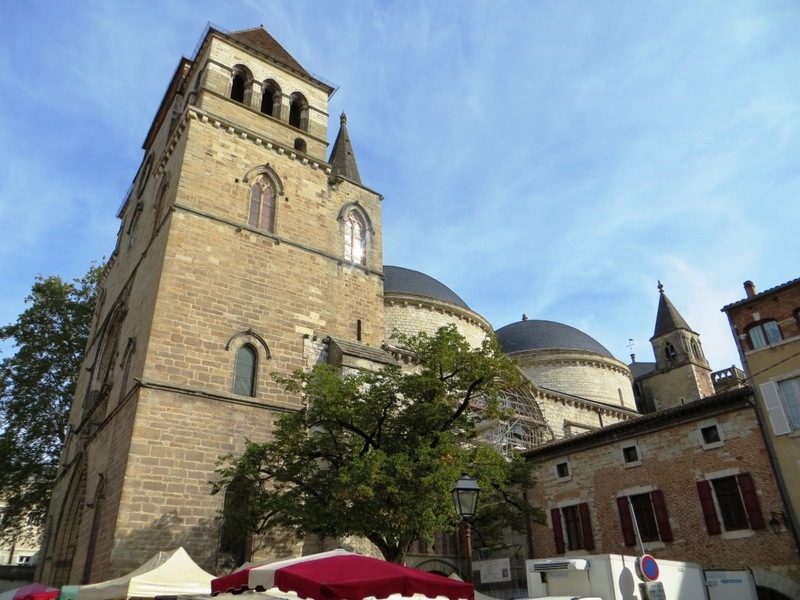 Cahors flourished in the Middle Ages and was an important stop on the Route de Santiago de Compostella, a thriving market and a financial centre. The Black Death and the Hundred Years War put a stop to all that and the town sank into relative obscurity. 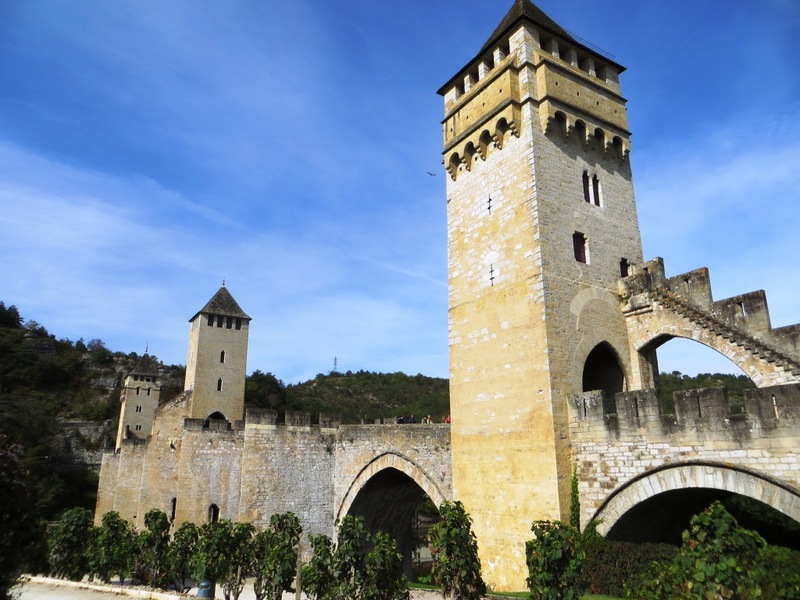 One of the best ways to see the sights is to walk the ‘Secret Gardens of Cahors’ trail, which the town initiated to celebrate its medieval past. Since 2002, the project has transformed 25 former wastelands and disused spaces into gardens teeming with flowers, herbs, and vegetables popular in medieval times. The design of many of the gardens combines a contemporary twist with the ancient planting. Wandering the narrow streets and discovering the secluded squares along the trail is a delight. Our visit in early October coincided with the Wednesday market. The main market is on a Saturday but the mid-week one is still quite big. 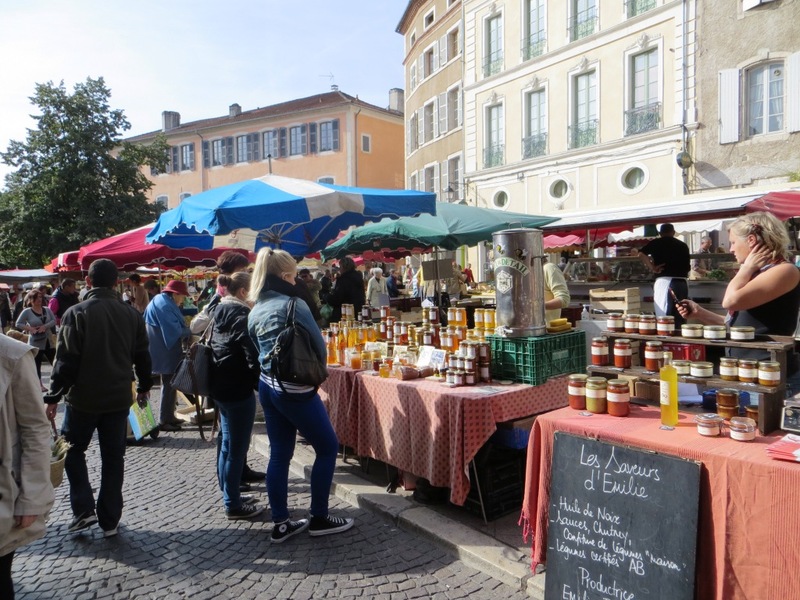 There was also a huge brocante (antiques fair) going on in the large main square on the other side of the Boulevard Gambetta, which bisects the town. Never mind all that. I was determined to see one of the most impressive sights. 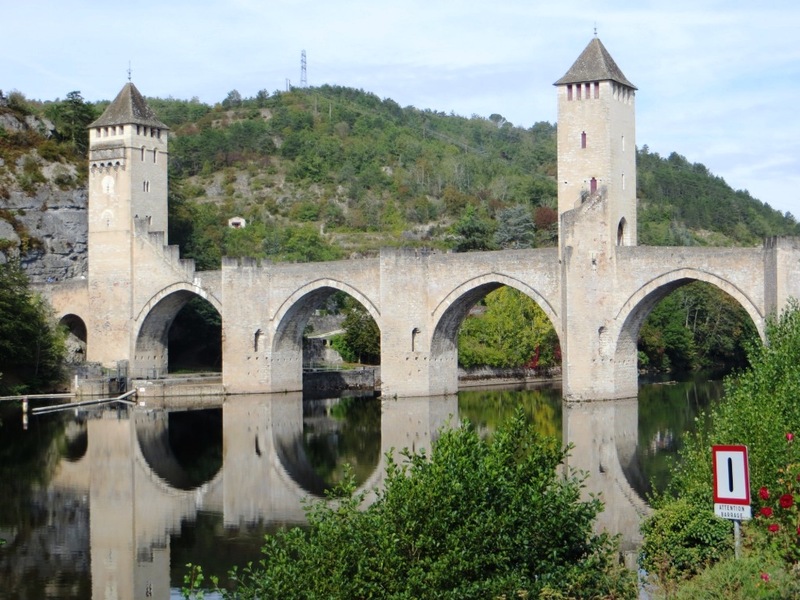 Although we have been to Cahors many times, somehow we had never had time for it – le pont Valentré, which spans the River Lot on the western side of the town. The garden trail mentioned above starts with the ‘Jardin d’Ivresse’, a vineyard beside the 14th-century bridge. This famous and much-photographed bridge occupied a strategic position in the town’s defences. Topped by three fortified towers, the bridge took more than 50 years to finish. The story goes that, in desperation, the architect sold his soul to the Devil in return for his help. When the architect reneged on the deal, the Devil took revenge by breaking off the top stone from the middle tower. Still known as the Devil’s Tower, the stone fell off each time it was replaced, until it was firmly fixed in place during 19th-century restoration work. It’s difficult to get a good shot of the bridge – especially when a busload of tourists turns up. So this is the best I could manage. Our friends were waiting for us at the restaurant – a former barge (péniche), of which many used to ply the river. Now, it’s moored permanently on the east bank near the park and ride with a wonderful view of the old town. We still have plenty to discover in this fascinating town. So why don’t we go more often? Yet further evidence of my theory that when you live in a place you don’t make the most of it. This entry was posted in History, Places and tagged Cahors, Cahors market, Lot, Pont Valentré, River Lot, Secret Gardens of Cahors, SW France. Bookmark the permalink. 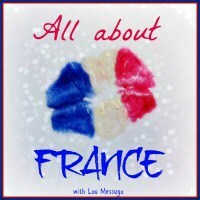 We used to live just south of Montcuq and would often go into Cahors. A lovely city, as you say, a lot more impressive than Montauban. I miss it, Tarbes is really not inspiring. Auch is pleasant but not a patch on Cahors. I remember that you lived not far from Cahors at one point. I do wish it were our préfecture; the centre of Montauban has much to recommend it but the outskirts are dire. We go to Cahors probably once every two years and always wonder why we don’t go more often. Life gets in the way, I suppose. As much as I don’t like my drive to Cahors along the winding river, I really prefer it to having to go into Montauban; I’m glad Cahors has my prefecture! I had no idea there is an underground parking structure there…I’ll have to check it out on my next visit. We can probably get there quicker than you! I do prefer Cahors to Montauban. The underground car park is underneath the huge square by the Tourist Office. The Roman remains in it are worth a look.